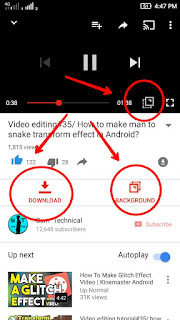 Home / Apps / Tech Tips / How to get download, floating screen, and background play option youtube official mobile app? 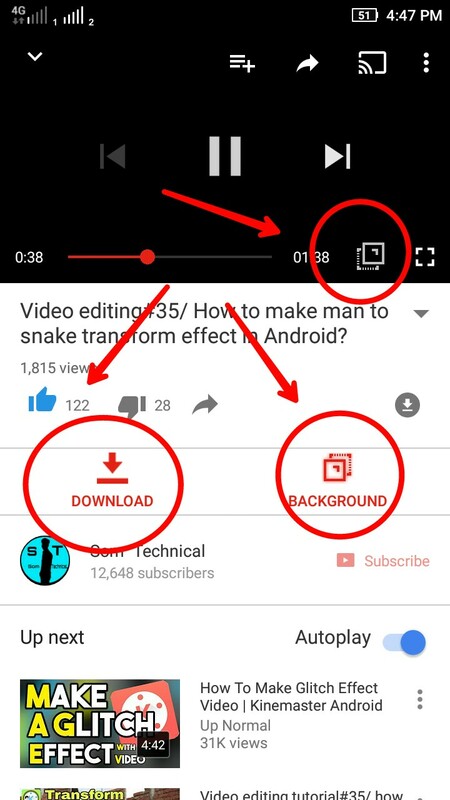 How to get download, floating screen, and background play option youtube official mobile app? Hi guys in this article I talk about How to get download, floating screen, and background play option in youtube official mobile app? So guys suppose one day at morning you open youtube app then suddenly you watch that you get download option ete in youtube official app then what will you do? actually this is impossible for you from youtube. youtube never recommend that's features for us because this is illegal. you can do offline any video in youtube but can't download. you can do it easily, how? I have a app like youtube, if you want know how can you get this app for free then read this article. this is only one app like youtube, this app is not available on google play store or app store. you can download only from here. Ok let's talk about this app name and how to install this app and how to use it. 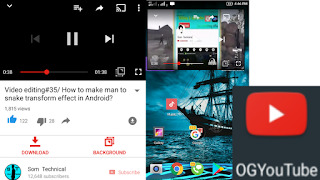 This app name is OG youtube, this app like youtube app same to same. there is a download link down below. this is a zip file, and in this zip file you get two app, you need to extract this file in any folder what you want. for extract you want es file explorer app. plugin app name microg for ogyt. then open og youtube. As you can see like youtube interface. all things like youtube you can handle it.